At its meeting today, the RBA decided to leave the cash rate unchanged at 2.5 per cent. The RBA use terms like “demand for labour has remained weak..”. I hear that in raw, honest, desperate conversations with clients and friends and contacts weekly at the moment. More often self-employed business owners are telling me of drying up opportunities and limited options. I am hoping along with you that conditions are improving soon, and the flow on effects will benefit our nation as a whole. Feel free to let me know how you are doing, and what you are experiencing now in the comments. View the RBA release here. Historically, Australia is at very low-interest rates. Globally, we are very high. We live in interesting times (referencing the ancient Chinese “Curse”), and navigating these times comes with its own challenge. My recommendation to anyone looking to buy, or to fix rates, is be able to pay at least 2.5% higher than current, and if possible, 10%. Then you have more capacity in your budget than if you can only just afford payments now. I have been reading a lot around the world at the moment regarding housing policy and economic stimulus. With the mining boom/bust or just wind down still playing out, and China been reported in different ways by a multitude of economists, there is a lot of conjecture in the markets. On top of that, the ASX Accumulation Index just reached an all time high, so somewhere there is enough positive vibe running to keep people buying shares. What most are asking is when will I see it in my bank account? When does this prosperity start flowing back into the small business and retail sectors and seeing the average person “feeling wealthier”? 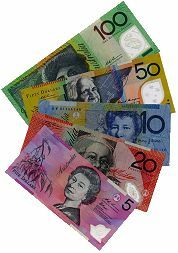 At today’s meeting the Reserve Bank of Australia (RBA) reduced the cash rate by 0.25% to 2.00% pa. This will not be a surprise to many (including the average economist) with the “odds” yesterday at over 94% that it would go down. Now I’m no Tom Waterhouse but that seems like a favourite to win. Again this will be good news for property investors and mortgaged home owners. Things have been a little slow around our great land, and the RBA is keeping this in mind as it measures up the chance of further cuts this year. No doubt the election fever will overwhelm it in the coming months. The RBA brief is short today, basically I read it as saying, “lets wait and see what happens.” Do you think our economy is showing signs of recovery or still struggling? Full statement available from RBA Website.